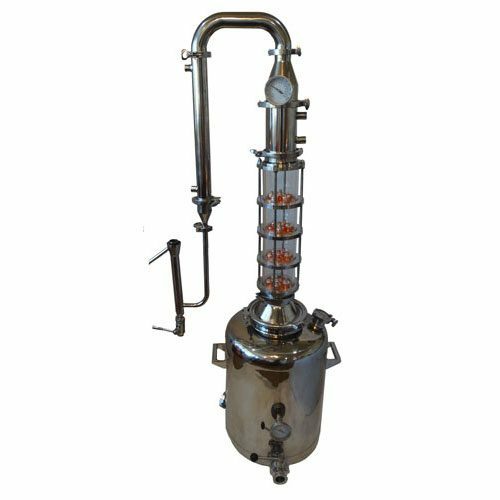 Stainless 6 Inch Diameter Mile Hi Flute 6 Sections commercial distillation tower with a 6″ diameter Stainless column and 3″ Sight glass allows you to see all the action. 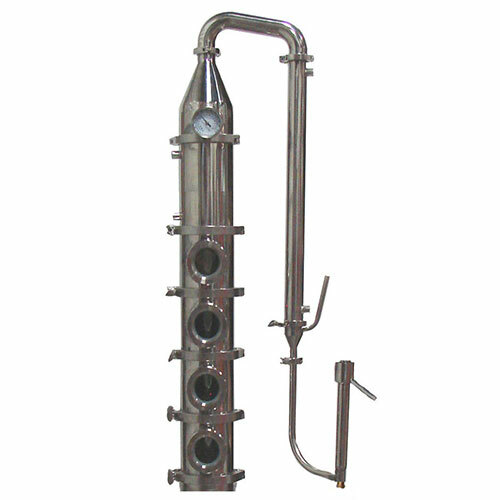 This column includes 6 stainless sections with copper perforated plates and down comers. This completely modular still allows you to run 1,2,5,10 sections to give you as much or as little reflux as you desire. Complete with shotgun condenser and dephlegmator. You can see percentage of alcohol in the distillate real time because of the built in parrot. 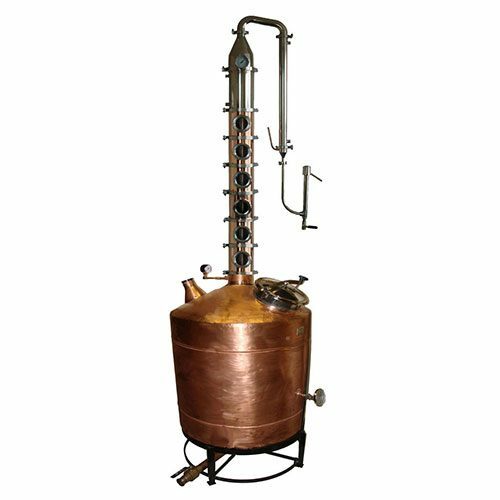 Six inch diameter distillation tower produces a lot of alcohol or moonshine in a short amount of time. 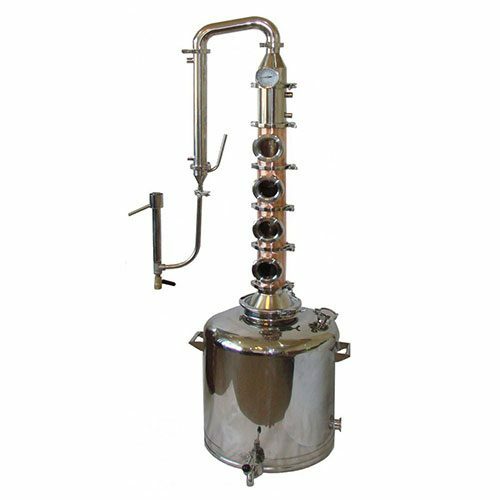 In addition, you can add a sight glass with a screened gasket for a gin basket or infusion chamber to add flavor to the vapor. The modular design allows for easily customizing your tower. We make all of the sections out of copper. Each section also comes apart for easy cleaning. 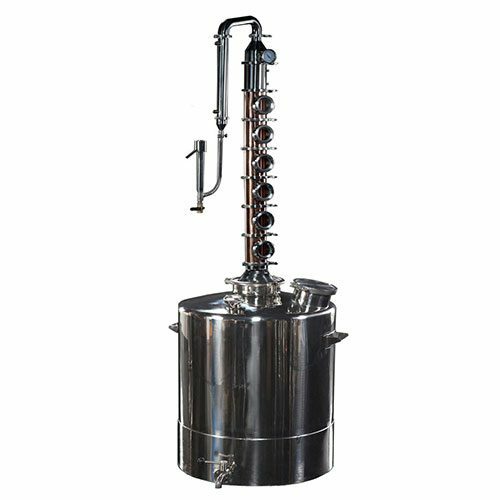 Made of durable stainless, the sight glass, dephlegmator, shotgun condenser and parrot are very easy to clean. this monster produces 2 gallons an hour of 190 proof spirit for my vodka. using a stainless drum for boiler works great.